Since 2009 Tony Mainwood of the Highland Ringing Group has been ringing Twite at Clachtoll in an effort to gain more information about their ages and where they travel to. 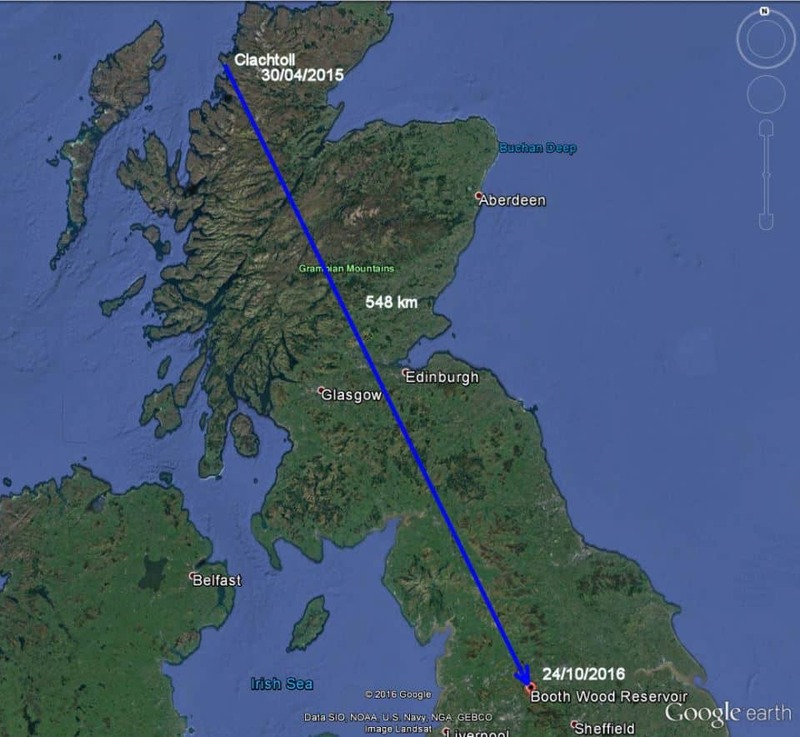 During late October 2016 Tony received notification that a bird, which he ringed at Clachtoll on 30 April 2015, had been caught near Booth Wood Reservoir in the Pennines, a straight line distance of 548kms away! This is the first ever record of a Twite from Scotland being re-trapped at an inland location with all other records of Scottish birds heading that far south coming from coastal sites of Lancashire and north Wales. Another very interesting piece of data from Tony’s dedicated work.